1. Sia/Kristen Wiig/Maddie Ziegler's performance of "Chandelier" at the Grammy's on Sunday. WOW. I love this song, and the video, and this liver performance was just awesome. Who knew Kristen Wiig (in a wig, lol!) had that in her? So good!! 3. Gwen Stefani's Grammy red carpet look. How is this woman aging in complete reverse? WOWZA. I wasn't, however a huge fan of Gwen and Adam Levine's duet together. I just don't like that song. It's literally the only one on Maroon 5's latest album that I skip. I just think it's not a great song at all, but that's just me. Did you catch the Grammy's?? Are you a big fan of awards shows? 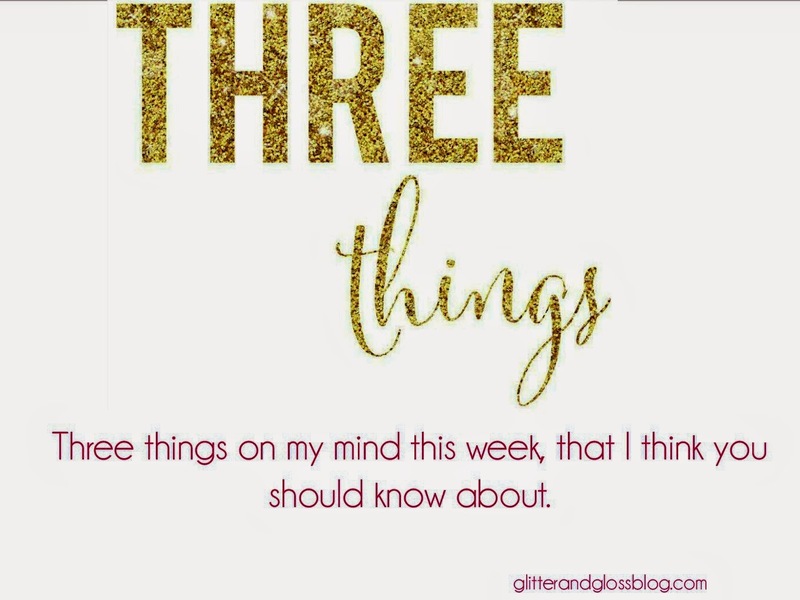 And what are YOUR three things this week? ?